This Motosoto Open Source License (the "License") applies to "Community Portal Server" and related software products as well as any updatesor maintenance releases of that software ("Motosoto Products") that are distributed by Motosoto.Com B.V. ("Licensor"). Any Motosoto Product licensed pursuant to this License is a "Licensed Product." Licensed Product, in its entirety, is protected by Dutch copyright law. This License identifies the terms under which you may use, copy, distribute or modify Licensed Product and has been submitted to the Open Software Initiative (OSI) for approval. 1. Grant of License From Licensor. 2. Grant of License to Modifications From Contributor. 3. Exclusions From License Grant. Nothing in this License shall be deemed to grant any rights to trademarks, copyrights, patents, trade secrets or any other intellectual property of Licensor or any Contributor except as expressly stated herein. No patent license is granted separate from the Licensed Product, for code that you delete from the Licensed Product, or for combinations of the Licensed Product with other software or hardware. No right is granted to the trademarks of Licensor or any Contributor even if such marks are included in the Licensed Product. Nothing in this License shall be interpreted to prohibit Licensor from licensing under different terms from this License any code that Licensor otherwise would have a right to license. a. Application of This License to Your Modifications. As an express condition for your use of the Licensed Product, you hereby agree that any Modifications that you create or to which you contribute, and which you distribute, are governed by the terms of this License including, without limitation, Section 2. Any Modifications that you create or to which you contribute may be distributed only under the terms of this License or a future version of this License released under Section 7. You must include a copy of this License with every copy of the Modifications you distribute. You agree not to offer or impose any terms on any Source Code or executable version of the Licensed Product or Modifications that alter or restrict the applicable version of this License or the recipients' rights hereunder. However, you may include an additional document offering the additional rights described in Section 4(e). c. Description of Modifications. You must cause any Modifications that you create or to which you contribute, and which you distribute, to contain a file documenting the additions, changes or deletions you made to create or contribute to those Modifications, and the dates of any such additions, changes or deletions. You must include a prominent statement that the Modifications are derived, directly or indirectly, from the Licensed Product and include the names of the Licensor and any Contributor to the Licensed Product in (i) the Source Code and (ii) in any notice displayed by a version of the Licensed Product you distribute or in related documentation in which you describe the origin or ownership of the Licensed Product. You may not modify or delete any preexisting copyright notices in the Licensed Product. iii. Representations. You represent that, except as disclosed pursuant to 4(d)(i) above, you believe that any Modifications you distribute are your original creations and that you have sufficient rights to grant the rights conveyed by this License. e. Required Notices. You must duplicate this License in any documentation you provide along with the Source Code of any Modifications you create or to which you contribute, and which you distribute, wherever you describe recipients' rights relating to Licensed Product. You must duplicate the notice contained in Exhibit A (the "Notice") in each file of the Source Code of any copy you distribute of the Licensed Product. If you created a Modification, you may add your name as a Contributor to the Notice. If it is not possible to put the Notice in a particular Source Code file due to its structure, then you must include such Notice in a location (such as a relevant directory file) where a user would be likely to look for such a notice. You may choose to offer, and charge a fee for, warranty, support, indemnity or liability obligations to one or more recipients of Licensed Product. However, you may do so only on your own behalf, and not on behalf of the Licensor or any Contributor. You must make it clear that any such warranty, support, indemnity or liability obligation is offered by you alone, and you hereby agree to indemnify the Licensor and every Contributor for any liability incurred by the Licensor or such Contributor as a result of warranty, support, indemnity or liability terms you offer. f. Distribution of Executable Versions. You may distribute Licensed Product as an executable program under a license of your choice that may contain terms different from this License provided (i) you have satisfied the requirements of Sections 4(a) through 4(e) for that distribution, (ii) you include a conspicuous notice in the executable version, related documentation and collateral materials stating that the Source Code version of the Licensed Product is available under the terms of this License, including a description of how and where you have fulfilled the obligations of Section 4(b), (iii) you retain all existing copyright notices in the Licensed Product, and (iv) you make it clear that any terms that differ from this License are offered by you alone, not by Licensor or any Contributor. You hereby agree to indemnify the Licensor and every Contributor for any liability incurred by Licensor or such Contributor as a result of any terms you offer. g. Distribution of Derivative Works. You may create Derivative Works (e.g., combinations of some or all of the Licensed Product with other code) and distribute the Derivative Works as products under any other license you select, with the proviso that the requirements of this License are fulfilled for those portions of the Derivative Works that consist of the Licensed Product or any Modifications thereto. 5. Inability to Comply Due to Statute or Regulation. If it is impossible for you to comply with any of the terms of this License with respect to some or all of the Licensed Product due to statute, judicial order, or regulation, then you must (i) comply with the terms of this License to the maximum extent possible, (ii) cite the statute or regulation that prohibits you from adhering to the License, and (iii) describe the limitations and the code they affect. Such description must be included in the LEGAL file described in Section 4(d), and must be included with all distributions of the Source Code. Except to the extent prohibited by statute or regulation, such description must be sufficiently detailed for a recipient of ordinary skill at computer programming to be able to understand it. 6. Application of This License. a. Version. 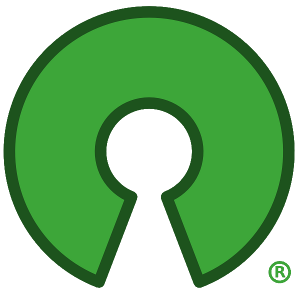 The Motosoto Open Source License is derived from the Jabber Open Source License. All changes are related to applicable law and the location of court. b. New Versions. Licensor may publish from time to time revised and/or new versions of the License. c. Effect of New Versions. Once Licensed Product has been published under a particular version of the License, you may always continue to use it under the terms of that version. You may also choose to use such Licensed Product under the terms of any subsequent version of the License published by Licensor. No one other than Lic ensor has the right to modify the terms applicable to Licensed Product created under this License. d. Derivative Works of this License. If you create or use a modified version of this License, which you may do only in order to apply it to software that is not already a Licensed Product under this License, you must rename your license so that it is not confusingly similar to this License, and must make it clear that your license contains terms that differ from this License. In so naming your license, you may not use any trademark of Licensor or any Contributor. LICENSED PRODUCT IS PROVIDED UNDER THIS LICENSE ON AN "AS IS" BASIS, WITHOUT WARRANTY OF ANY KIND, EITHER EXPRESS OR IMPLIED, INCLUDING, WITHOUT LIMITATION, WARRANTIES THAT THE LICENSED PRODUCT IS FREE OF DEFECTS, MERCHANTABLE, FIT FOR A PARTICULAR PURPOSE OR NON-INFRINGING. THE ENTIRE RISK AS TO THE QUALITY AND PERFORMANCE OF THE LICENSED PRODUCT IS WITH YOU. SHOULD LICENSED PRODUCT PROVE DEFECTIVE IN ANY RESPECT, YOU (AND NOT THE LICENSOR OR ANY OTHER CONTRIBUTOR) ASSUME THE COST OF ANY NECESSARY SERVICING, REPAIR OR CORRECTION. THIS DISCLAIMER OF WARRANTY CONSTITUTES AN ESSENTIAL PART OF THIS LICENSE. NO USE OF LICENSED PRODUCT IS AUTHORIZED HEREUNDER EXCEPT UNDER THIS DISCLAIMER. b. Termination Upon Assertion of Patent Infringement. If you initiate litigation by asserting a patent infringement claim (excluding declaratory judgment actions) against Licensor or a Contributor (Licensor or Contributor against whom you file such an action is referred to herein as "Respondent") alleging that Licensed Product directly or indirectly infringes any patent, then any and all rights granted by such Respondent to you under Sections 1 or 2 of this License shall terminate prospectively upon sixty (60) days notice from Respondent (the "Notice Period") unless within that Notice Period you either agree in writing (i) to pay Respondent a mutually agreeable reasonably royalty for your past or future use of Licensed Product made by such Respondent, or (ii) withdraw your litigation claim with respect to Licensed Product against such Respondent. If within said Notice Period a reasonable royalty and payment arrangement are not mutually agreed upon in writing by the parties or the litigation claim is not withdrawn, the rights granted by Licensor to you under Sections 1 and 2 automatically terminate at the expiration of said Notice Period. d. No Retroactive Effect of Termination. In the event of termination under Sections 9(a) or 9(b) above, all end user license agreements (excluding licenses to distributors and reselle rs) that have been validly granted by you or any distributor hereunder prior to termination shall survive termination.